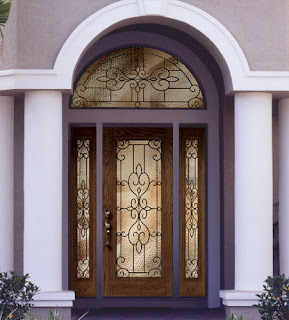 Rochester entry door is one of the modern designs we offer with contemporary patina caming and shimmering cord glass. It looks great with full lite sidelites next to it. What a sweet idea to make your home feel welcome for your family and guests. How do you make your home feel welcome? Visit our Pinterest page to see more colorful ideas. You can design your own doors with us and it is easy. 1. 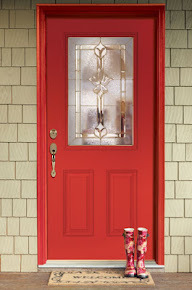 Go to our Door Builder and select the door type you're looking for. 2. After going through each step, finalize your selection and print it out. 2. Take your final selection to The Home Depot millwork specialist to place your order. 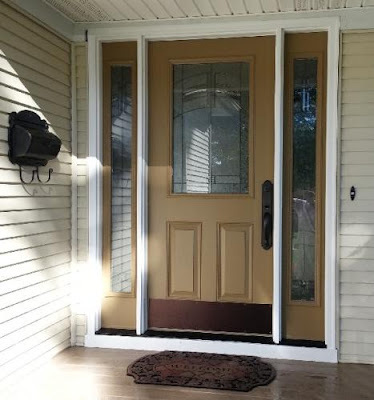 If you're interested in pre-configured doors, you can order them online as well. Questions? Please contact our customer service representatives via email, chat or by calling 1-800-375-8120. 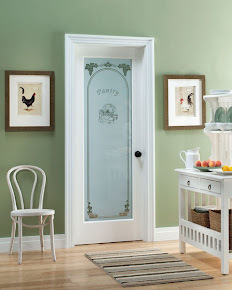 What door style, glass design or woodgrain finish would you like the most in your home? Tell us in the comment section or on our Facebook page.